There has been recent media attention on the issue of “alternative” cancer treatments, following the death of high-profile ‘Wellness Warrior’ Jess Ainscough. There have been some thoughtful and well-written commentary, such as this column by oncologist and writer Dr Ranjana Srivastava in The Guardian. It is a topic close to my heart, having had a family member and many of my patients choosing to pursue expensive and unproven treatments for their cancers, often with tragic consequences. One of the saddest stories I came across I’ve fictionalised and outlined below. It took place many years ago and case details have been changed to protect patient confidentiality. The call came as I was sitting down to dinner. My tuna casserole was never going to win any culinary prizes and there was no ‘plating up’ involved, but the food was hot and I was hungry. I put my fork down with a sigh. It was after 8 and I’d had a long and dispiriting day. You know the kind… filled with the worried well (“I’m still feeling dizzy at times, perhaps it’s a brain tumour?”), and the unworried unwell (“Strewth, Doc, it’s only a touch of sugar. Stoppin’ me tablets won’t kill me.”). I wasn’t officially on call. Should I get someone else to deal with this? No, this one had my name on it. I’d first met 58 year old Peter ten weeks earlier, and had seen him a dozen or so times since. Diagnosed with malignant mesothelioma the previous year, he had opted for the most aggressive treatment possible: surgery, chemotherapy and radiotherapy. Stubbornly determined to beat the disease, he’d sought other options when his specialists had run out of theirs. His quest had led him to an ‘holistic healer’ who ran an ‘exclusive private health retreat’ on a tucked away acreage property about 25 minutes from the rural town in which I worked. Without qualifications of any kind nor recognition from any professional body, the healer peddled hope, and it came with a hefty price tag. The ‘scientifically proven, powerful, herbal remedies’ were ‘imported directly from the USA’ and did not come cheap. Client’s bank accounts often became emptier than their colonic-irrigated bowels. The potion used in Peter’s residential programme was particularly pricey. For his treatment he paid about $30,000 a month, with the expectation that it would last between two and three months and give him a 95% chance of total cure. For this desperate man, such odds could not be ignored. He liquidated all his assets, including his house and car, paid the $20,000 up front fee and moved 1,500 km north into the ‘health retreat’. Two weeks into his regimen, Peter ended up in my consulting room for the first time, brought in by the healer’s assistant. He was dehydrated and had significant electrolyte disturbances from the brutal starvation and purging regime to which he had been subjected. After IV rehydration, he insisted on returning to the retreat for continued holistic treatment, against my strong advice. A week later, I saw him for the drainage of a pleural effusion which was significantly interfering with his breathing. He flatly refused to go to hospital, and so I performed the procedure under the supervision of my supervisor (being as I was a GP registrar at the time). The pleural tap needed repeating several times over the next few weeks, as his chest cavity continued to steadily fill with fluid. He looked worse each time he came and was losing weight rapidly, yet he remained optimistic, fervently believing that his ill health was evidence that the treatment was working. “You get sicker before you get better because the herbs draw out all the toxins from your cells and they go into your blood. Once they’re in the blood, you can flush them out of your body but it takes time. My healer says that my cellular toxin levels are now really low and that the cancer cells are almost functionally normally. It’ll only be a few more weeks and I’ll be better,” he explained. Unfortunately for Peter, his toxins outlasted his ability to pay for their removal. When his monetary funds dried up, so did the healer’s hospitality. The dying man was ‘discharged’ from the retreat and left to fend for himself. 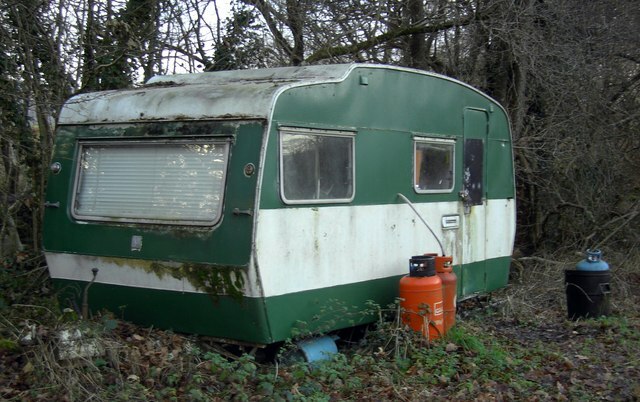 Too sick to travel, he stayed in the local area and moved into a dilapidated caravan. I’d slipped a note under his door with my mobile phone number and a message encouraging him to call me whenever he needed help. The phone call came that Wednesday evening and the consumption of my tuna casserole was postponed. Peter was in a bad way. His abdomen was grossly distended by ascites, making his matchstick limbs appear even more insubstantial. Lying in urine, faeces and vomitus, the stench was almost overpowering. He was clearly in great discomfort and I felt out of my depth. I urged him to allow me call an ambulance, but he vehemently refused. Rifling through my doctor’s bag, I offered an assortment of medicinal substances including analgesics, diuretics and tranquilisers, but he turned them all down. Even my attempts to remove his expelled body fluids and change his clothes and bedding were met with resistance. Each word required tremendous effort, leaving him breathless and exhausted. His pleural effusions had constricted his fragile lungs, reducing them to a fraction of their original volume. Peter had previously told me of the falling out he’d had with his only child, David, over his decision to seek expensive alternative therapies. Believing David was only concerned about the spending of his inheritance, he’d cut off contact. Too proud to “go crawling back penniless and have him tell me ‘I told you so’,” the rift had not been repaired. This was my chance to do something meaningful and I grabbed it gratefully. I needed it as much, if not more, than Peter did. I found his address book easily and called his son, hoping for a heart-warming reconciliation…but this was real life, not a made-for-TV movie. The phone rang out; no one was home. I spent the next hour ringing around trying to locate David, to no avail. Frustrated, I sat holding Peter’s hand as he drifted in and out of consciousness. I knew what I had to do. Peter’s face relaxed, a hint of a smile evident on his lips. He squeezed my hand. I stayed with him until he died later that evening. No one should have to die alone and unloved. I couldn’t give him the hope of a cure, at any price, and he’d refused my offer of help to ease his physical suffering, but what I was able to give Peter was priceless. I was able to restore a dying man’s faith in humanity, at least a little.